Today's outfit was an old favourite. 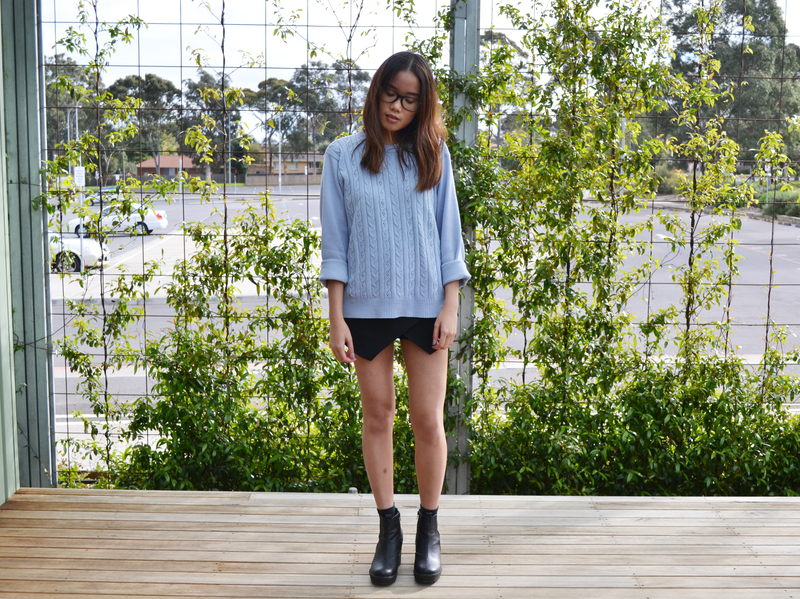 Set upon the perfect gradient of greens and yellows, I wore my go-to pastel blue jumper thrifted from a market. There's a subtlety and softness in its hues. After all, the skies are painted in it. And how could we not admire that?